The Comedy Vault – Rock And Chips. It’s well known that many people think Only Fools And Horses is one of the greatest British sitcoms, so its story doesn’t need much explaining here, I thought instead that I would look back at one of the other parts of the show. There wasn’t really much left to say in the original version… but viewers still wanted more, so how about doing something different. 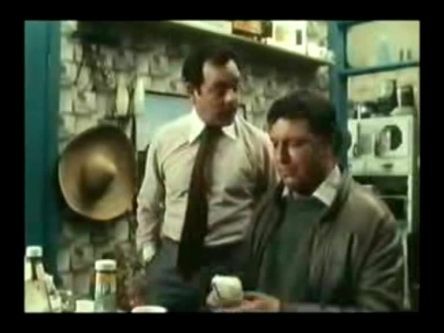 There had already been a sequel written by John Sullivan called The Green Green Grass which featured Boycie and his family and ran for four series on BBC1. So how about a prequel! This would also be written by Sullivan, but this time it would focus on Del Boy in his younger years. The first episode was called Rock And Chips and it was set in Peckham in 1960. This series would be an opportunity to answer some questions about the show, like the identify of Rodney’s father, and we would also be able to meet Del’s mum Joan who had been referenced in a lot of episodes for the first time. James Buckley (best known for The Inbetweeners) was cast as Del, Kellie Bright (later to star in EastEnders) was Joan, and Nicholas Lyndhurst would also feature, but who would he play considering Rodney hadn’t been born at this point? There was much anticipation about this opening episode that was 90 minutes long and was more of a comedy-drama. As well as Del and his mum, we would also meet his dad Reg and his granddad (whose first name was revealed to be Ted). Even in those days Del (who was about 15 at the time) was mates with the likes of Boycie, Denzil and Trigger, while his relatives were often down local pub The Nag’s Head. Also featuring was Freddie “The Frog” Robdal, a safecracker who had just been released from prison. Joan works at a cinema and has two jobs that are selling the lollies and making the tea. She is also trying to get the family a house in a new block of high-rise flats, and there’s the organising of the first Jolly Boys Outing to Margate. Del has recently left school and decided to try and knock out some pop records down the market, he made himself a few quid and he never looked back. Joan has something of a fling with Freddie behind Reg’s back, and at the end of the first episode she gives birth to Rodney, and as Freddie was played by Nicholas Lyndhurst, there really was no doubt that he will grow up to look like his father. This episode did do well in the ratings, although it seemed to get rather average reviews from critics, but I do think that it was worthwhile. The second episode was called “Five Gold Rings” and was also something of a Christmas special that was set at the end of 1960. Del has got hold of some dodgy rings and then tries to go out with every girl that he can so he pretend that he is giving them all some expensive diamond engagement rings. Grandma Violet also turns up to look after the infant Rodney, and Joan decides to dye her hair as if she wasn’t glamorous enough already. The third episode was called “The Frog And The Pussycat” and set during 1961 and 1962. Del and his mates have now got themselves some fancy mopeds and are trying to impress the girls by taking them out to restaurants. Joan is still carrying on with Freddie who is in trouble again, while wondering if she should leave Reg and trying to keep her job at the cinema and look after the growing Rodney. I don’t know if any more episodes were planned, as we didn’t get to the point in the story where Freddie killed himself after he accidentally sat on his detonator while trying to break open another safe, Reg walked out on the family, or Joan became ill and died in 1964, because just before the third episode was shown, John Sullivan, the man behind Only Fools And Horses, The Green Green Grass and Rock And Chips (along with other popular sitcoms including Citizen Smith and Just Good Friends) died, he was remembered by many as a great comedy writer. All three episodes of Rock And Chips have been released on DVD (but they contain no extras). 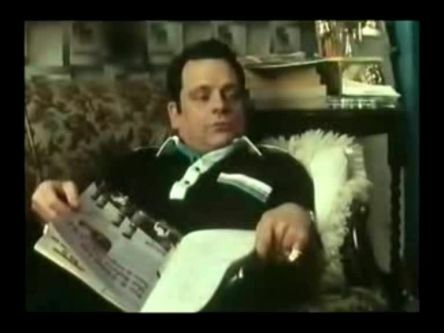 But the story still hasn’t ended there, in more recent years there have been some books released featuring Del Boy’s views on life (written by John Sullivan’s sons), and there is also an Only Fools And Horses musical planned (yes, really), I’m sure it’ll be cushty. The Comedy Vault – special bonus edition! When I was watching the sitcom The Mighty Boosh again recently, I remembered that there was a reference to Bethnal Green in an episode. Now this is the part of London that I live in, and I always find it surprising to hear a reference on the TV. I started to think about how many other comedy shows feature a reference. I don’t know why it seems to turn up so frequently, clearly it must be a big cultural reference point. I thought of six comedy shows that reference Bethnal Green, so here they are, although if anyone out there does know of any others, you are welcome to tell me. Big Train. This was the odd BBC2 sketch show from the makers of Father Ted. There is a sketch in the second series that is a parody of detective drama shows, where Mark Heap’s character says “Bethnal Green”. Well to hear one of my favourite comic actors say that right in front of everyone, I was very pleased. Fame at last! The Mighty Boosh. There is a reference to Bethnal Green in this sitcom when Vince (played by Noel Fielding) is trying to track down where someone is by using his Celeb Radar. Also around this time, when the show was popular on TV, there were suddenly a lot of people walking around here who seemingly wanted to be Noel, how great. Saturday Live. This pioneering 80s comedy show featured some of the earliest TV appearances by Harry Enfield, and his kebab shop owner character Stavros, who would become very popular with viewers, was always talking about “the Bethnal Green Road”, which is good innit. Sitting Pretty. This was a sitcom that launched on BBC1 in 1992 which was written by John Sullivan. Because his other sitcoms had been so popular with viewers, this show was simply sold as “this can’t fail!”. The main character in the show was Annie, a woman who had been successful in the 60s who had now fallen on hard times, and her character was described by Radio Times as “the Jackie Onassis of Bethnal Green”. Within the first few minutes of the first episode, Annie does say “Bethnal Green”, and also her catchphrase “phenomenal”, which they really thought would catch on, but didn’t. Although Sitting Pretty ran for two series, it wasn’t a big hit with viewers, there has been no DVD release, and it is now considered the low point of Sullivan’s career. Also, because of the Bethnal Green connections, I remember seeing Diane Bull (who played Annie) once when she was chosen to turn on the Christmas lights here one year (I don’t remember what year, either 1992 or 1993 as they were the only years that the show was on BBC1), now that really was phenomenal. BONUS! Now to go on to pop music. I am aware of at least two pop stars who were born in Bethnal Green who have had UK Number One hit singles, who are Helen Shapiro and Cheryl Baker of Bucks Fizz fame. Also, I’m not aware of any UK hit singles featuring Bethnal Green in the lyrics, but again if you know better, you can let me know. And I know I keep going on about this, but I just want to emphasise this again because I still find it unbelievable. …well, I was now in a right old state. Discovering that in more recent years she had probably been walking round here (although presumably not dressed like that), and she had a party in her kitchen with her old pop star friends practically around the corner from me simply blew my mind (there’s even a picture of them all together on Twitter and everything), I just can’t believe it really happened. I told you all the cool people live round here didn’t I, aren’t I lucky. 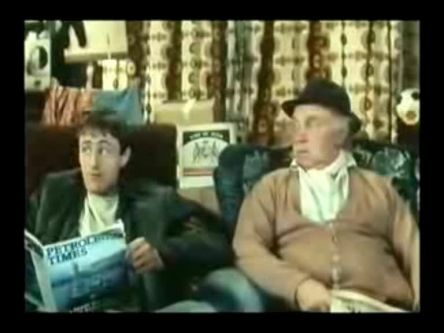 The YouTube Files – Only Fools And Horses: Licensed To Drill. Only Fools And Horses is one of my favourite sitcoms, and again, I don’t really need to explain much about the history or the characters on the show as I imagine everyone will already be familiar with it, indeed, it’s one of the most successful British TV shows that there’s ever been. So instead I have decided to write about one of the less remembered episodes of the show. Licensed To Drill was a 20-minute long educational video about oil featuring the cast of Only Fools And Horses that was made to be shown in science lessons in schools. It was made on film and contains no laughter track. It was written by John Sullivan as every other episode was and he also performs the theme song at the end. It has never been shown on TV or been released on DVD, so when it turned up on YouTube a while back I was very interested in taking a look. The next day, a sleepy Rodney finds someone called Paddy sat at the table. Del reveals that he has just completed a deal with him to buy an offshore oil rig, a snip at just £400. Rodney has to explain to Del that oil rigs are enormous things far away in the North Sea, not in a lock-up garage in Catford. It concludes with Del realising that he has been done up like the proverbial kipper. And he seemed so honest as well. They can’t go after him though because Rodney’s still in his pyjamas and the van’s out of petrol. The irony of the situation was not lost on Del. What a plonker. Licensed To Drill was made in 1984 between series three and series four and marks the final appearance of Lennard Pearce as cheeseburger-loving Granddad, who died just as work on the fourth series began. 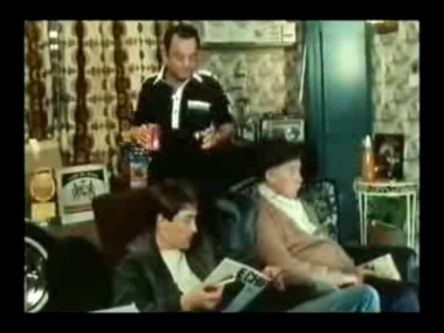 Just when I thought I had seen them all, it was great seeing a supposedly lost episode of Only Fools And Horses, which I think is definitely up to the usual very funny standard of the show.